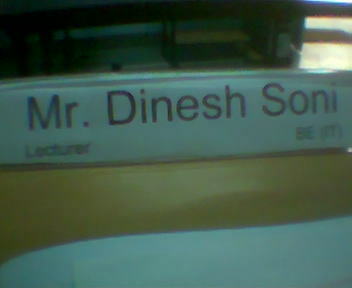 Now that I am a lecturer, I need to have a name plate on my table in the staff room. So here are snaps of the same. Do I need to tell anything about this dude? Well, that's one recent snap of mine.. This is first blog written from outside the earth. Its written by Anousheh Ansari, first woman space traveller.. It had been 4 days since i joined the college as a lecturer. And during these 4 days, i met 3 types of students. On my first day, when i took my first class, I realised that the students are too mischievous and they don't want to study at all. I was regretting my own decision to do something for these students..
Then, after lecture, few students came to me and asked me to be little strict so that these students can atleast listen. They were unable to learn due to few mischievous students. Then one guy, whom i hadn't allowed to enter as he was late, came to me to say sorry. 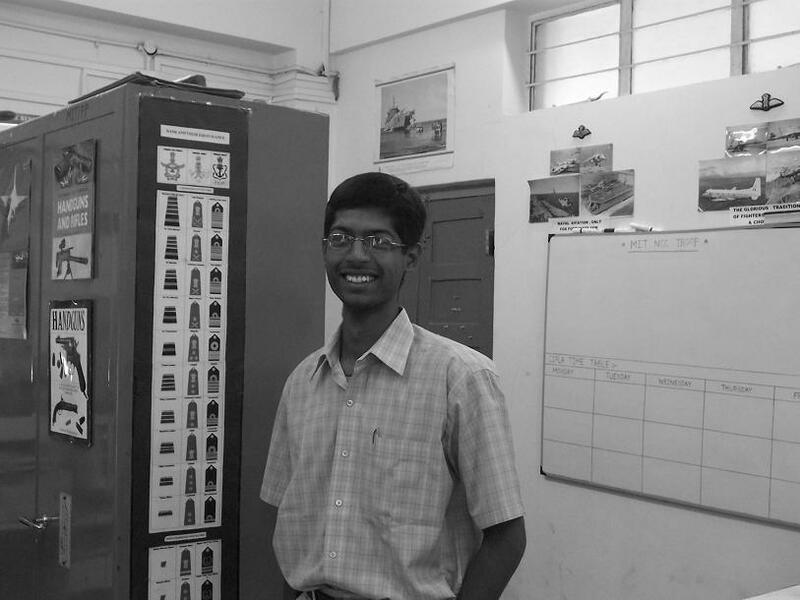 I realised that this guy works from 2 AM - 7:30 AM and then comes to college. There are few more students who need to work for learning. Then i decided to do something for those students. I started being strict. 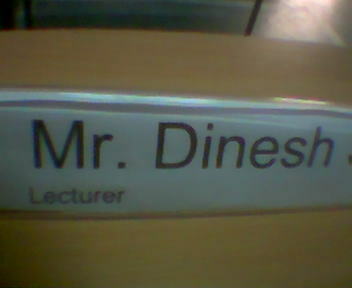 Mischieves were immidiately thrown out of the class, late comers and class disturbers were not allowed. Many times late comers have genuine problem but rules have to be same for all. Anyways, i repeat everything when the latecomers come in staff room asking for the part. Main problem with the education system here is teachers are not interested in extra work. They just talk a little, dictate notes and consider their job is over. They are never willing to solve doubts. I made a change here. I started solving even silliest doubts of them. And once 2-3 students' doubts were solved, more students started approaching me with doubts.. The students are also not much interested in asking doubts. Rather they are too afraid to ask it in class. So many times they come to staff room to ask me doubts. Staff room or class room, important thing is they should ask each and every doubt. And after second day, situation was like they started asking me even doubts in other subjects. And i never said no..
Now I'm sure that my decision was correct and I have to work harder for the same. And btw, I'm also popular amongst my superiors. My princi and director is very happy with my performance. So its too good feeling. Only thing is i miss my old days. Every small thing here reminds me of my days in MNT. I just want to leave those 3 years again... If only it would have been possible..
Today was first day of my job. Yup. 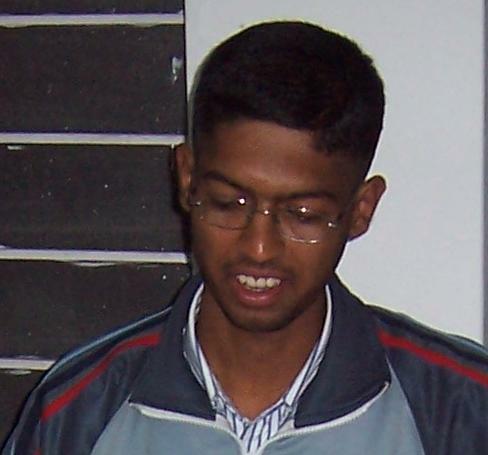 I joined MIT College of computer science and studies, Latur as a lecturer. put up few facts. All of the computer engineers opt for a S/W job. If they don't get, they go for lecturer in engg college. As a result of this, we rarely get good teachers in our branches. So when we look at the BCA/BCS colleges, there is rarely a good techer opting for these colleges. I don't say I'm too good or like that. But i considered something must be done for betterment of these colleges. 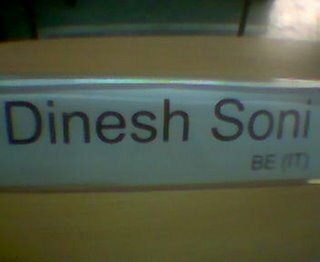 I'm frst BE lecturer in this college. This is the case with an institution run by MIT.. so just imagine what is the scene at other institutes.. Ever thought why does Maharashtra face flood situation even with small rain? Ever thought why does water level rise with so small rainfall? Ever thought what happens to crores of Ganesh idols emerged in water every year? Well, think now. One small idol measuring 1*1 feet is made of around 1kg sand (Shadu). When all these idols are emerged in water, lakhs of kgs of sand gets added to water which deposits at the base of water. Provided the idol fragments completely. Plus the oil paint causes the water pollution, but that's a different matter. This lakhs of kgs of sand is responsible for a vast change in water level, and it generates the flood. So what's the solution? I tried this year to emerge the idol in a tub at home. Yes, it hurt the emotions of my parents upto a level. But then they too agreed ki this is better option that causing the floods that take hundreds of lives and crores of rupees every year. Btw, it had been more than 24 hours now and the idol hasn't fragmented even 2%. So think how much time it takes for these idols to get back to sand. And during all this time, the water animals have to suffer for it. This may sound hurting for few people. But then we have to accept what is in favor of the state and people and agriculture of state. Think about it. Your valuable comments are most welcome. If you have work to do, do it now. Today the skies are clear and blue. Tomorrow clouds may come in view. Yesterday is not for you, do it now. If you have a song to sing, sing it now. clear as song of bird in spring. Let everyday bring some music, sing it now. If you have kind words to say, say them now. Tomorrow may not come your way. If you have a smile to show, show it now. A partial Eclipse of the moon will occur on September 7 and will be visible from all parts of India but only from a few places in Antarctica, Australia, Asia, Africa and Europe, including the British Isles. In the past, people used to observe all traditional things on the eclipse, such as Bhajans and not touching any furniture, taking bath after the eclipse and donations. They used to believe that the eclipses happen Rahu and Ketu. Even my family used to observe part of these things. Now the science has proved that the eclipses are nothing but the astronomical events and they are no way caused due to Rahu and Ketu. So the people's behavior towards the eclipses has changed. Now people have started looking at it in scientific way. In India, the eclipse will start at 11:35 PM and will last till 1:05 AM. I just can't wait to see the eclipse. Why was Gandhiji never awarded the Nobel Peace Prize? This 300th post of mine is dedicated to Greatest Personality in Indian Freedom movement. 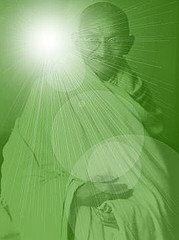 Mohandas Gandhi (1869-1948) has become the strongest symbol of non-violence in the 20th century. It is widely held in retrospect that the Indian national leader should have been the very man to be selected for the Nobel Peace Prize. He was nominated several times, but was never awarded the prize. Why? These questions have been asked frequently: Was the horizon of the Norwegian Nobel Committee too narrow? Were the committee members unable to appreciate the struggle for freedom among non-European peoples?" Or were the Norwegian committee members perhaps afraid to make a prize award which might be detrimental to the relationship between their own country and Great Britain? Gandhi was nominated in 1937, 1938, 1939, 1947 and, finally, a few days before he was murdered in January 1948. The omission has been publicly regretted by later members of the Nobel Committee; when the Dalai Lama was awarded the Peace Prize in 1989, the chairman of the committee said that this was "in part a tribute to the memory of Mahatma Gandhi". However, the committee has never commented on the speculations as to why Gandhi was not awarded the prize, and until recently the sources which might shed some light on the matter were unavailable. Up to 1960, the Nobel Peace Prize was awarded almost exclusively to Europeans and Americans. In retrospect, the horizon of the Norwegian Nobel Committee may seem too narrow. Gandhi was very different from earlier Laureates. He was no real politician or proponent of international law, not primarily a humanitarian relief worker and not an organiser of international peace congresses. He would have belonged to a new breed of Laureates. During the last months of his life, Gandhi worked hard to end the violence between Hindus and Muslims which followed the partition of India. We know little about the Norwegian Nobel Committee's discussions on Gandhi's candidature in 1948 other than the above quoted entry of November 18 in Gunnar Jahn's diary but it seems clear that they seriously considered a posthumous award. When the committee, for formal reasons, ended up not making such an award, they decided to reserve the prize, and then, one year later, not to spend the prize money for 1948 at all. What many thought should have been Mahatma Gandhi's place on the list of Laureates was silently but respectfully left open. I always had temptation towards two things. Height and fire. Whenever I go to heights, I feel like jumping down. And Whenever I see fire, I feel like touching it, experiencing it. Treks helped me to overcome the first temptation but I still see dreams where I jump from high buildings and hills. Did you watch "Lage Raho Munnabhai"? No? Then go and watch now. This is a movie you can't afford to miss. The Munna - Circuit pair is creating the magic again. But this time, through Satya and Ahimsa. In a time when people have started forgetting Gandhiji and his teaching, Rajkumar Hirani has made a great move by bringing back the thoughts. And that too in a style. The movie is perfect combination of comedy, emotions and the thoughts. It makes you laugh whole time and then makes you think about it after you come out of theatre. The director has given equal importance to usual munnabhai and Gandhiji. This has been done without disturbing Gandhiji's image anywhere in the course of the movie. The pension scene was the best one. The Diya's marriage scene when Circuit and Munna bhai deal with Batuk Maharaj was second best of the movie. Yet another was when Sanjay Dutt hits back the watchman saying "Jab dono galon pe mar mile to kya karna ye to Gandhiji ne nahi bataya.."
Boman Irani has given yet another fantastic performance in Lucky Singh's character. The snaps he takes with celebrities is absolute fun. Arshad Warsi was too good in managing the virtual Bapu. Dilip Prabhavalkar has been so good in his make-up and acting that you won't recognize him until and unless you know this in well advance. My friends who read his name in the start were searching for him until the end of the movie. Abhishek Bacchan and Diya Mirza added the remaining flavour. Few dialogues by Bapu are surely worth following. Such as "चाटा मारना आसान है, माफ़ी मांगना नही, ये कायरोंका काम नही है" and "अगर इन्सान की पहचान करनी है तो ये देखो की वो अपनेसे निचेवालोंसे किस तरह से बात करता है"..
Read what Rushal has to say about the movie, here. First of all, my salute to Dr. Sarvapalli Radhakrishnan, in honour of whom Teachers' Day is celebrated every year. When I think of teachers in my life, I firstly remember my primary teacher Mrs. Suryawanshi who taught us first lessons of our life. Then I remember lot of teachers in my schooling, junior college and engg. days. But other than these all teachers, I remember two most important teachers of my life. MIT NCC TROOP which provided me first confidence about myself. And also taught me working in team, appreciating and anticipating, accepting defeat but again trying for victory with double josh, management skills, following friendship rules and what not.. Due to overflow of emotions, I'm running out of words.. 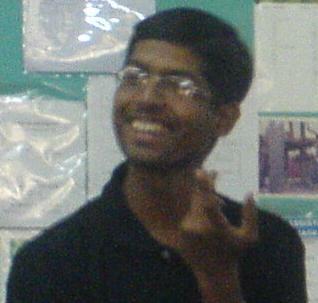 So kindly forgive..
Second best teacher I can think of is Mamu Sahyadri. I call it as Mamu cause it has always loved me. Whatever may be the challenge; rains, cold or heat, it provided us training to deal with it all. It made me experience the cold of Harishchandragad, the rains of Rajgad and the heat at hot rockpatches near Bhaje.. 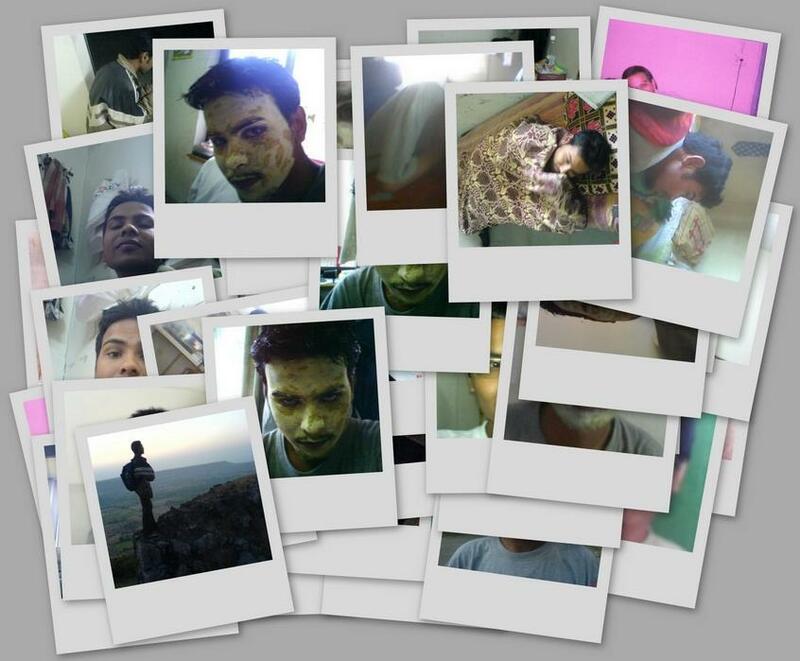 It made us to go on hunger strike during Visapur trek.. But never let me go ill due to anything.. It always gave us power to fight, whatever may be the situation.. And that's where I still get inspiration whenever I stuck up in life.. Here is the day to salute these two great Gurus of my life.. I will never forget you.. Here is the list of spots in India that are listed in world heritage centres, as listed by UNESCO. Today I'm going to tell you about my friend. A friend who was not at all a friend for me. He was just a known stranger to me. 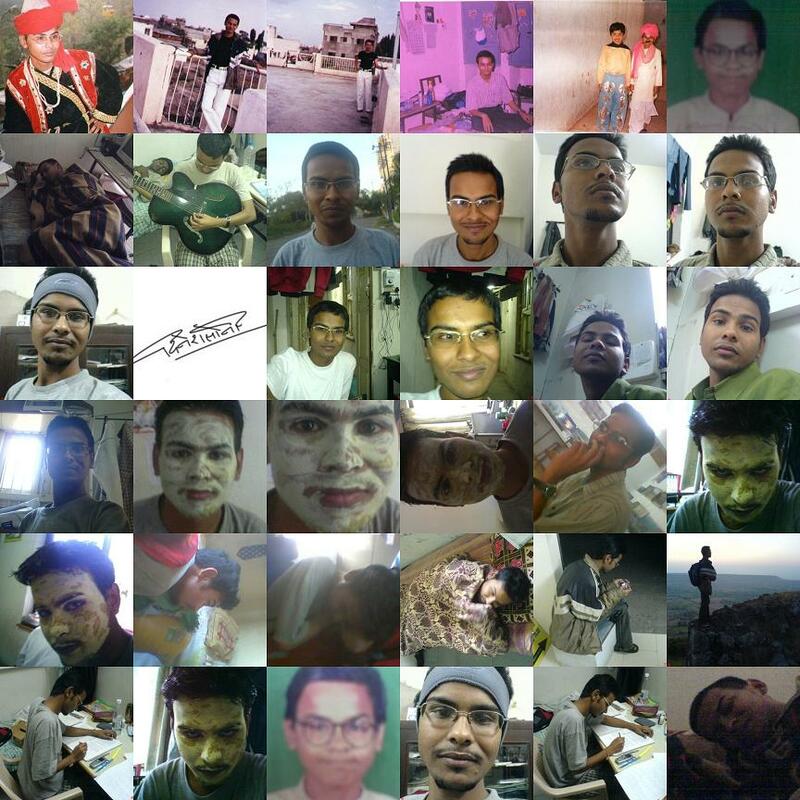 We used to work together in MIT NCC TROOP. But we were never friends. We were just coligues. But he was always caring for me. We once had a fight. And the fight continued for very long. But the day it ended, we were tied together by some bond. I don't know what it was. It was an invisible bond which tied us together. We share not only same kind of feelings and thoughts, but we also share same birthday. Yup.. We both are born on 3rd September, 1984, with a difference of less than 1 hour. He was never loud and clear when it used to come to expressing emotions. But when expressing thoughts, he was firm as a rock. Sometimes we used to think that he is rock minded person. But once he started expressing his emotions, we realised that he is very emotional and soft minded person. He was leader of blood donation committee. And he was mastermind of all Troop activities. He intiated lot of new things in troop which have become a trend today. He used to stay away from girls but later he fell in love himself. And today, he is so much in love that he will give a complex to majnu and romeo. He firmly believes that you can't rectify the system until you have either money or power. 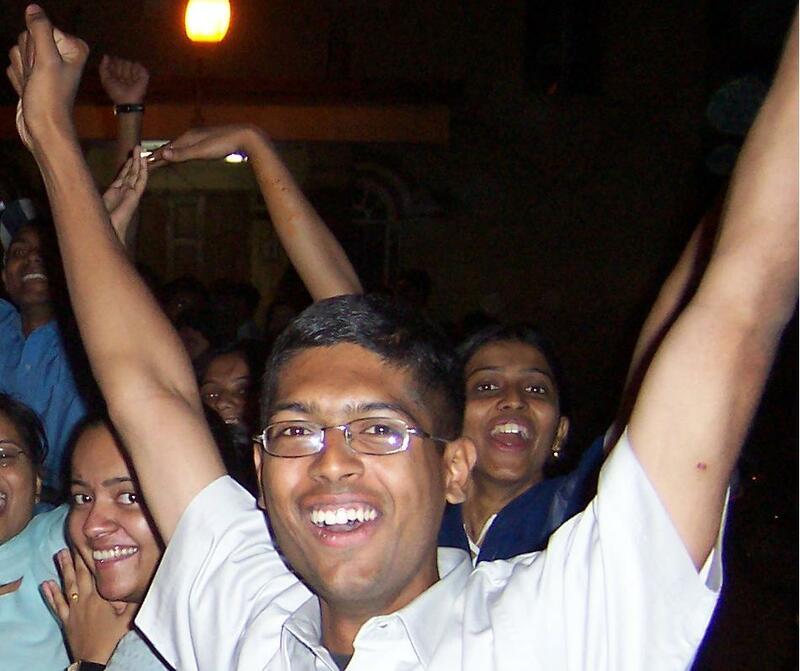 And to earn power, he is appearing for UPSC and trying for IAS. He is a very perfect analyst. Well, there is nothing much to write. Cause he is such a personality that you can't stop writing about him. I will just wish a very happy birthday to Cdt. 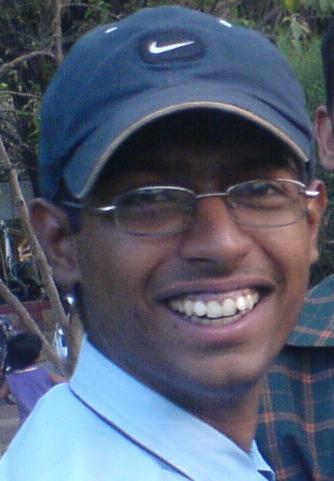 Yogesh Walke. Nothing much to write. Was in Pune for a week. My results of final year are out. I got 67% in second sem with an increase of 13%. Overall, I have 61% in final year. 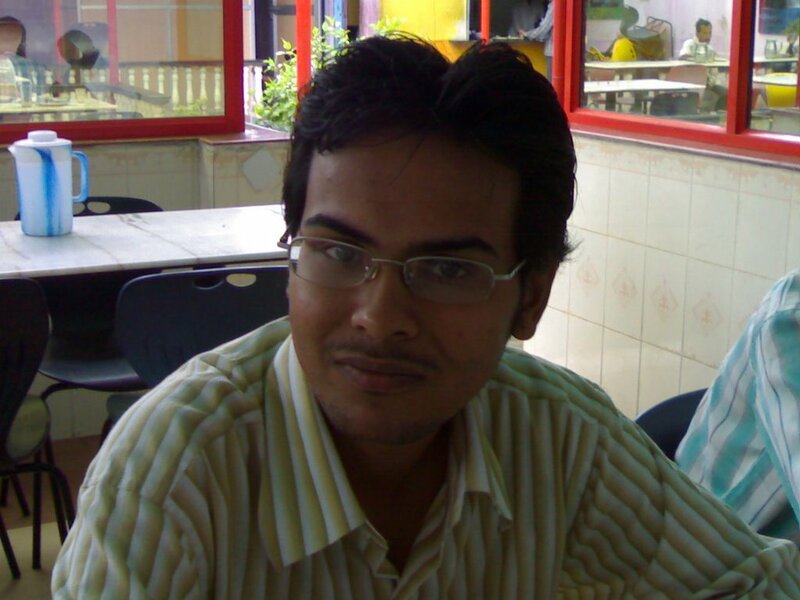 Now back to Latur and again back to the flow. Waiting for the big day. Nothing much to say. There is an option called Collage in Piccasa. Just used it to create these two snaps.. Kinda good it is..
Dad: People this is unacceptable. You have to limit the use of the phone. I do not use this phone, I use the one at the office. Son: Me too, I never use the home phone. I always use my company mobile. Maid: So what is the problem? We all use our work telephones. This is not just a joke. Its a food for thought. We need to think about it. We misuse company property or national property without any hesitation. But when it comes to our personal property, we start shouting about it.